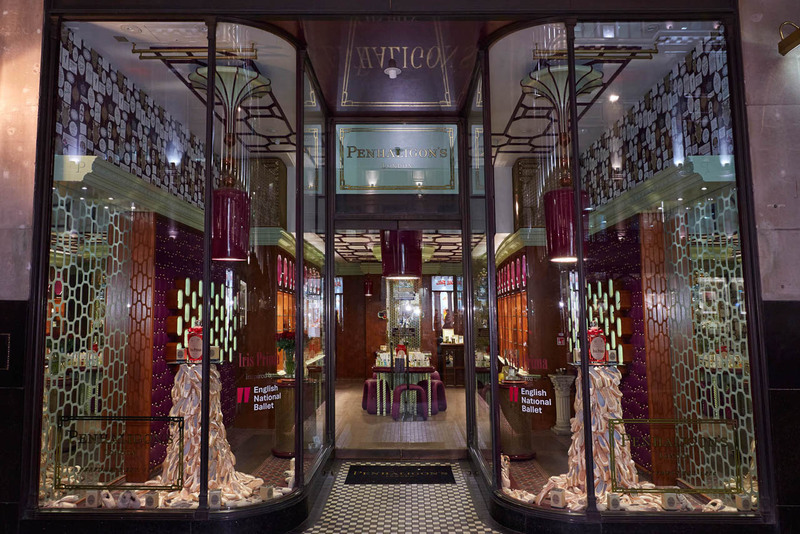 Prop Studios designed and produced an eye-catching scheme for the launch of Penhaligon’s latest scent, Iris Prima. 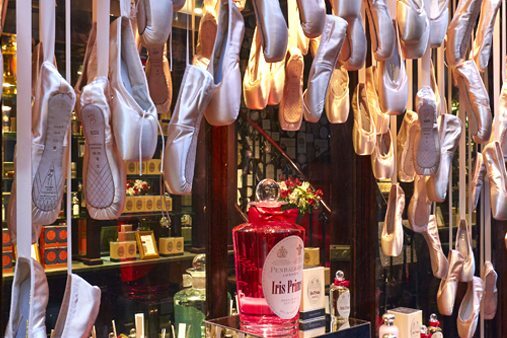 The fragrance was made with the Master of Perfumery, Albert Morillas, to offer a fascinating glimpse into the secluded yet magical world of the ballet. 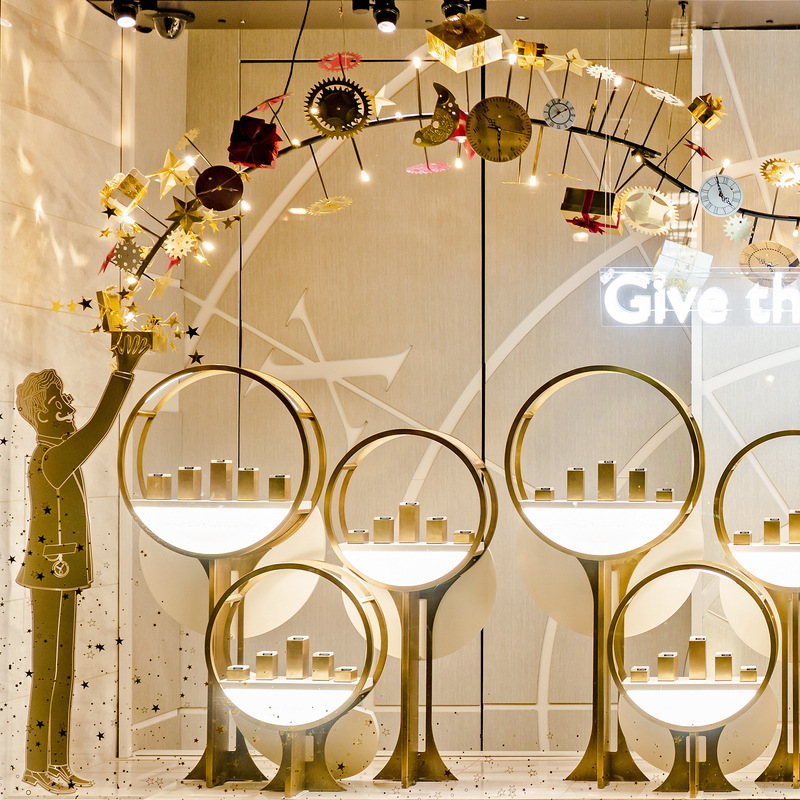 The window scheme was designed to capture the understated beauty and elegance of the dance. 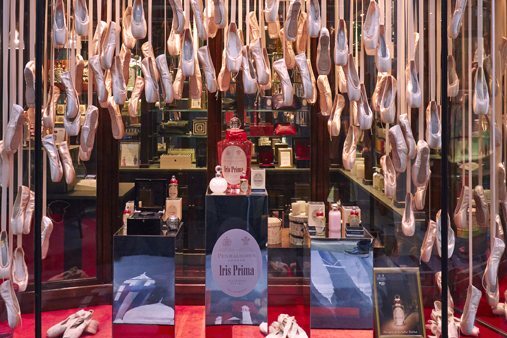 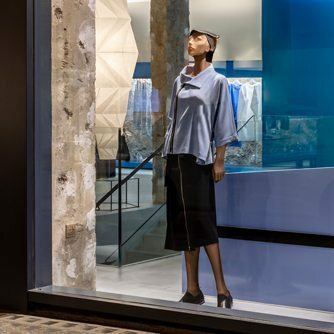 The team sourced over 1500 pairs of ballet shoes and designed a scheme that would fill as much as of the window frame as possible, with the ballet shoes creating a central archway to reveal the silver mirror plinths displaying the Iris Prima Perfume. 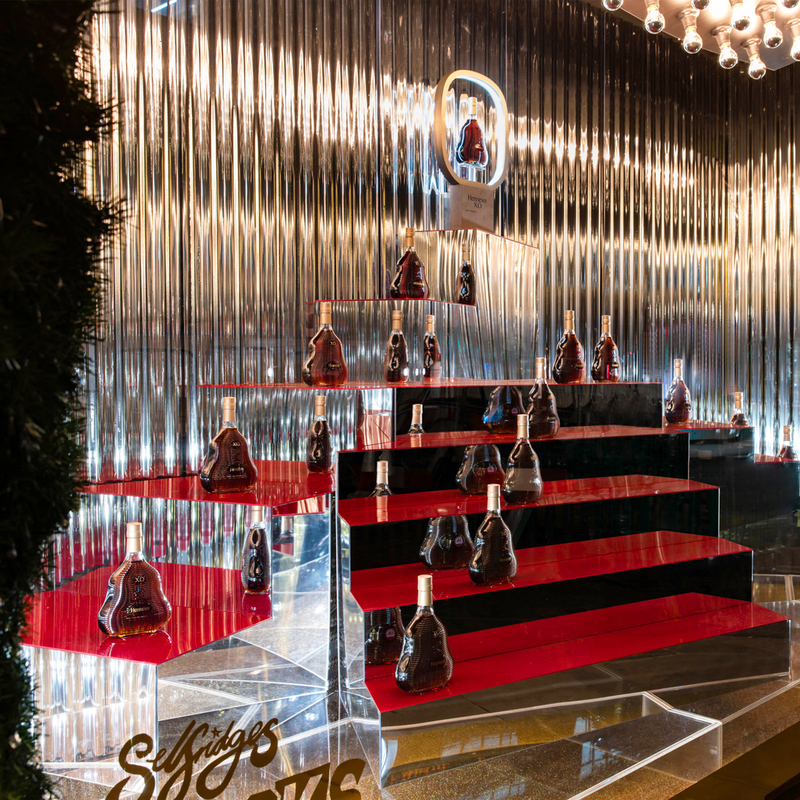 Inside, we designed and manufactured the Iris Prima display stand with silver mirror acrylic, double-sided print and a deep red acrylic base to match the colours of the perfume bottle. 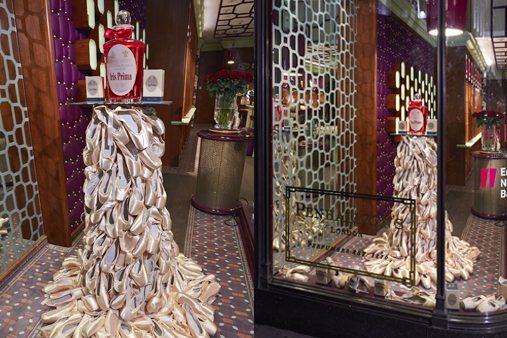 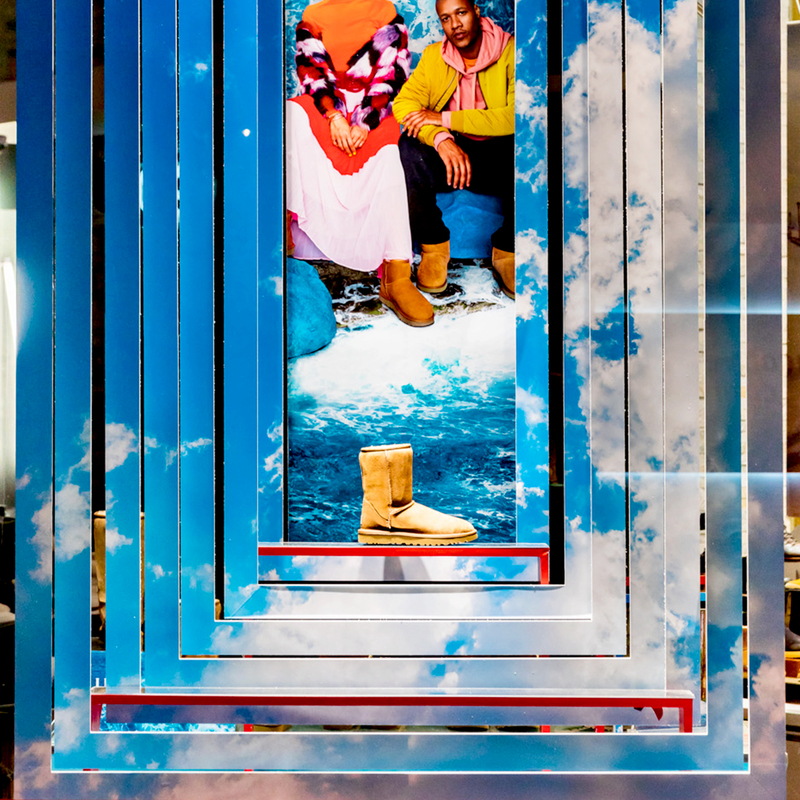 The window scheme was installed in 16 stores both in the UK and internationally. 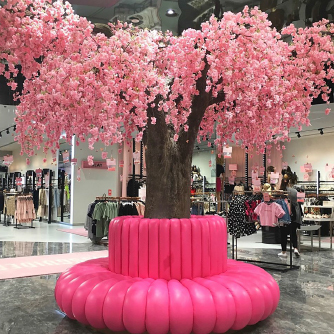 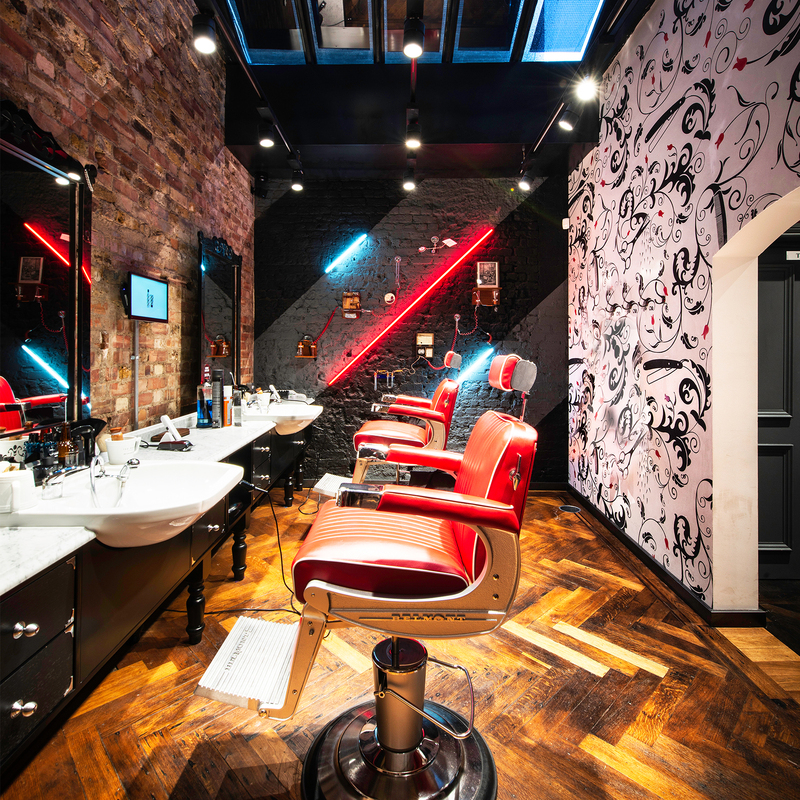 It was then rolled out to the following franchise concession stores – House of Fraser Oxford Street, Harvey Nichols, with the exclusive launch at Harrods.